Fully integrated automation and robotics manufacturing solutions can offer significant productivity and quality benefits but such systems may sometimes be difficult to envisage. With its ETT series of multi-touch operating panels, Sigmatek offers an optimal combination of multi-touch functionality in hard and software. The modern HMIs are claimed to enable new, smart operating concepts that provide a positive operating experience. Rockwell Automation has introduced its new Allen-Bradley MobileView tethered operator interface. The mobile terminal gives plant and industrial personnel the freedom to take a machine’s human-machine interface (HMI) with them to make real-time adjustments to out-of-view applications. 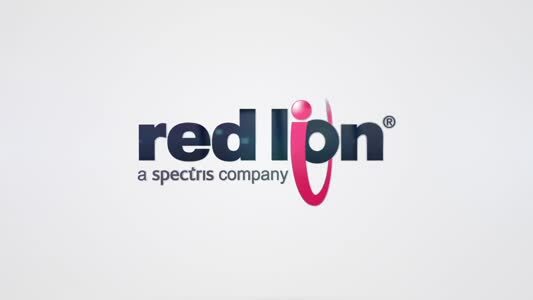 Red Lion Controls has announced availability of an HSPA+ (GMHSPA) cellular module for its Graphite Human Machine Interface (HMI) platform. Giving machine builders new options in the size, functionality and connectivity of their graphic terminals, Rockwell Automation has released the AllenBradley PanelView Plus 7 Standard graphic terminal. The terminals are available in five screen sizes, including widescreen options. New from Beijer Electronics, the X T7AM operator panel for maritime requirements is approved by major classification societies to handle nearly any system on board, putting information and intuitive functions where they’re needed most. Siemens Industry has launched a range of new flat-panel monitors and panel PCs with industrial standard 19 and 22-inch widescreen displays for multi-touch and gesture operation. With its new SmartAxis Touch combination HMI/PLC, IDEC provides standard features to cater for the control and HMI needs of a diverse range of applications including small machines, and feed and dosing systems. Power management company Eaton is expanding its extensive portfolio of high-end HMIs with the XP500 series of powerful industrial touch-panel PCs. With its extensive range of Control Panels and Panel PCs, Beckhoff claims to offer the ideal portfolio for solving all PLC, Motion and HMI tasks in a machine or plant – universally, flexibly and with a uniform look and feel. B&R is adding two new series to its successful Power Panel HMI family: Power Panel T-Series terminals and Power Panel C-Series controllers – both featuring touch screens. Kontron has extended its portfolio with a new series of durable, industrial multi-touch monitors. Designated OmniView, like the panel PCs, they offer projective-capacitive (PCAP) multi-touch functionality in a high quality 16:9 wide-screen design with joint-free glass surfaces. New from Omron is an HMI series that offers increased functionality and usability for small and medium sized machines. Energy management specialist, Schneider Electric, has launched Magelis Panel PC (iPC) – the latest addition to the company’s Magelis range of industrial PCs. With its new compact GT32-E touch terminal, Panasonic Electric Works is addressing applications for human machine interfaces under difficult temperature conditions. What will human machine interfaces (HMIs) look like in the future? And how can operators themselves influence optimum use of systems by means of user-generated operational aids? The joint project “HMI 4.0” created by Fraunhofer Institute for Labor Economics and Organization (Fraunhofer IAO) is focusing on these questions. Software specialist, COPA-DATA, is also on board as know-how and software partner for this cross-industry, innovative collaboration. For over 25 years Review Display Systems has been representing leading manufacturers of TFT, LCD and plasma display panels, together with touch screens, analogue TFT controller boards and industrial single board computers. Now, the company RDS has been appointed distributor for the innovative Lumineq Displays. Olsen has supplied a combined HMI and PLC connected to a linear actuator for satellite welding at the Indian Space Research Organisation (ISRO). This allows the operator to enter and adjust the required force in kilograms for each stage of the production process. IOT-500 - new 5" Android based HMI Panel is perfect for remote monitoring, data acquisition & control.